President Trump will tell you that he’s doing everything in his power to protect Americans. But in his State of the Union address, there’s one major public safety threat he’s likely to ignore. Trump will discuss a so-called crisis at the border, and he might cast blame for a 35-day government shutdown of his own creation. But one thing he probably won’t mention is that 100 Americans are dying each day from a preventable epidemic. It’s unlikely that Trump will tell you about the severity of this public safety crisis in his address tonight, so we will. We sat down with our data and policy experts to better understand the scope of America’s gun violence crisis—and what we should do about it. Here is the state of gun violence in five charts. 1. Gun violence in America has reached a level not seen in decades. Nearly 40,000 people in the United States were killed with guns in 2017, marking the highest number of gun deaths in 40 years. The Centers for Disease Control and Prevention (CDC) tracks annual gun deaths, and their steady rise should be a wake-up call for every American. But for decades, Republicans in Congress have prevented the CDC from researching this public safety crisis by refusing to allocate the research funding that gun violence so desperately needs. 2. 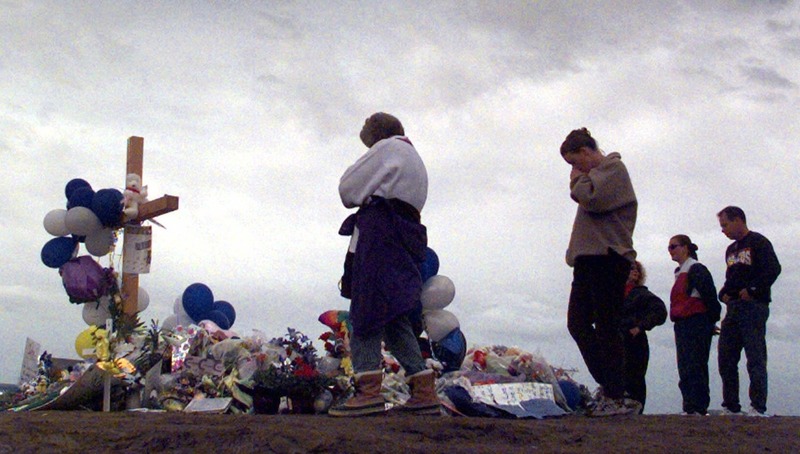 Six of the deadliest mass shootings in recent history happened in the last decade. Fifty-eight innocent people were killed in the 2017 Las Vegas massacre. It was the deadliest mass shooting in modern US history, and tragically, it wasn’t long before America would experience another one of its deadliest shootings. Six of the shootings with the highest fatalities happened within the past 10 years, including the shooting at Marjory Stoneman Douglas High School in Parkland, Florida, which was the worst school shooting since Sandy Hook in 2012. Our students are growing up in fear, painfully aware of the reality of gun violence, and it’s causing lasting trauma. 3. Americans are 25 times more likely to die from a gun homicide than people in other peer countries. America has the same rates of crime and mental illness as other high-income countries like the UK and Australia. But our rate of gun homicide is astronomically higher. Why is that? Weak laws that make it too easy for dangerous people to get their hands on a gun. No other country makes it so easy for a dangerous person to buy a gun with no questions asked, even weapons of war like AR-15s. Criminality isn’t unique to America, but this level of gun violence is. 4. Black Americans are 10 times more likely than white Americans to die by gun homicide. America’s gun violence epidemic hits communities of color hardest. The disparity is especially severe for black Americans, who experience gun homicides at a rate roughly 10 times that of white Americans. While mass shootings tend to garner more attention, day-to-day shootings that occur disproportionately in underserved communities of color tear families apart and traumatize children. 5. Public support for stronger gun laws is the highest it’s been in almost two decades. There is hope: Data from Gallup—spanning 18 years and using the same question—shows that support for stricter gun laws has risen to a high of 67% in 2018. That’s the highest it’s been in almost two decades. In communities across the country, Americans are refusing to accept this level of gun violence as normal. Last year, voters took that enthusiasm to the ballot box and elected leaders who will finally listen to the public’s demands for safety. Bottom Line: The state of gun violence is a crisis. The data paints a grim picture of gun violence in America. But it also points to something promising: our readiness for action. Americans are taking gun violence seriously, and we expect our leaders do the same. Last year, voters elected a new Congress who will do just that. As one of its first orders of business, the new House majority introduced H.R. 8, the Bipartisan Background Checks Act of 2019. Despite the evidence of both our gun violence crisis and our nation’s readiness to end it, Donald Trump continues to ignore this very real problem and instead focuses on one of his own creation. Call Congress now, and demand universal background checks. Tell your friends to text SAFE to 90975, and we’ll connect them to their representative too. Get involved in your community. Sign up for our Action Network.